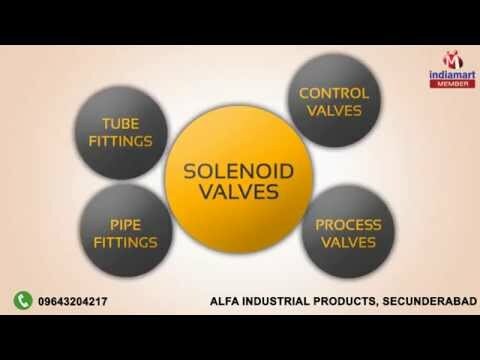 Welcome to Alfa Industrial Products, established in the year 2013, we are among the topmost manufacturers, suppliers, wholesalers, traders and retailers of a wide range of Valves and Pipe Fittings. The product range offered by us comprises Solenoid Valves, Control Valves and Process Valves. Appreciated among our customers for its rich features such as corrosion resistant, sturdy construction, impeccable finish, high tensile strength, durability, dimensional accuracy and compact design, the offered range of valves and pipe fittings is manufactured from quality stainless steel and other basic materials. By using advanced machinery, our engineers and technicians manufacture the offered range in compliance with the set industry norms and regulations. For the purpose of maintained the best possible quality of the offered range of valves and pipe fittings, we have set up a huge and well-equipped in-house quality testing unit.